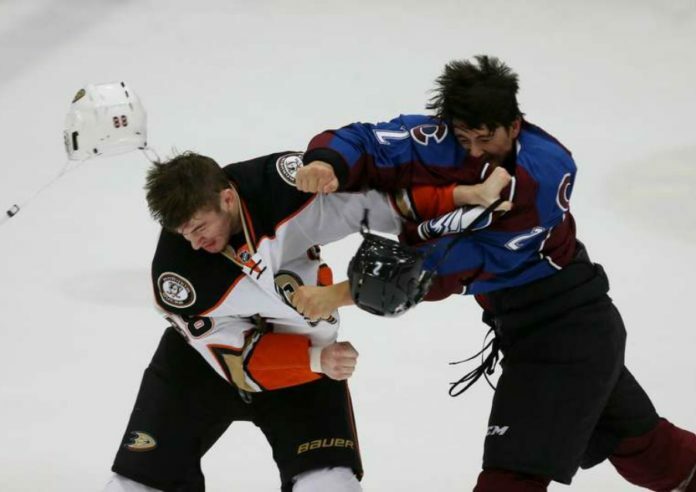 Colorado Avalanche prospects took on those from the Anaheim Ducks on Saturday, Sept. 18, 2016, in the inaugural Rookie Showcase at the Ice Centre at the Promenade in Westminster, Colorado. 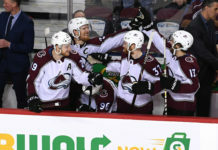 The tournament gives each club's coaches and management staff, as well as other NHL scouts, an opportunity to look at players against their peers in a game format (Photo: Michael Martin/Colorado Avalanche). This past weekend was the first chance for players in the Colorado Avalanche organization to get a taste of playing in new head coach Jared Bednar’s system. Avs prospects took to the ice, facing off against teams from the San Jose Sharks and Anaheim Ducks organization. 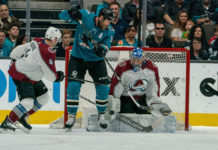 The Avalanche swept the Sharks and Ducks in their Rookie Showcase, showing the potential that organization has, and perhaps what is to come systematically. Defenseman Mason Geertsen, for one, is excited about potentially playing in Bednar’s system. Selected by the Avalanche in the fourth round (93rd overall) of the 2013 NHL Entry Draft, Geertsen is a lunch-pail defenseman. He may not light up the scoreboard night in and night out, but he will light up opponents with the occasional body check. After sitting out the team’s first game against the Sharks, he suited up the next night against the Ducks. In that contest, he showcased his toughness, engaging in an epic fight. That being said, he knows that in today’s game, you better be able to do more than just throw punches. With rookie camp now in the rearview, Geertsen now has his sights set on training camp. There, he will be fighting to leave an impression on Avalanche brass.